Parkinson’s disease is a chronic and progressive movement disorder, meaning that symptoms persist and worsen over time. Researchers have discovered that the hallmark sign of Parkinson’s disease is the accumulation of certain proteins. These clumps are called Lewy bodies. Current therapeutics include pharmaceutical agents that are converted to dopamine when arriving at the brain, an approach equivalent to giving insulin to a diabetic patient; additionally, there are surgical alternatives that mostly rely on implanting a pacemaker in the brain that stimulates neurons electrically, very much like a heart pacemaker. Parkinson’s disease involves the malfunction and death of neurons that produce dopamine, a chemical that sends messages to the part of the brain that controls movement and coordination. These neurons are located in a brain area called substantia nigra. When approximately 60 to 80% of the dopamine-producing cells are damaged, and do not produce enough dopamine, the motor symptoms of Parkinson’s disease start to appear. Many experts think that the disease is caused by a combination of genetic and environmental factors, which may vary from person to person. Lewy bodies are found not only in the substantia nigra but also in the brain stem and the olfactory bulb. These areas of the brain are implicated in non-motor functions such as sleep regulation and the sense of smell. The presence of Lewy bodies in these areas accounts for the non-motor symptoms experienced by some people with Parkinson’s disease, before any motor symptoms of the disease appear. The chemical or genetic trigger that initiates the cell death process in dopamine neurons is the subject of intense scientific study. Many believe that by understanding the sequence of events that leads to the loss of dopamine cells, scientists will be able to develop treatments to stop or reverse the disease. To date, despite decades of intensive study, the causes of Parkinson’s remain unknown. 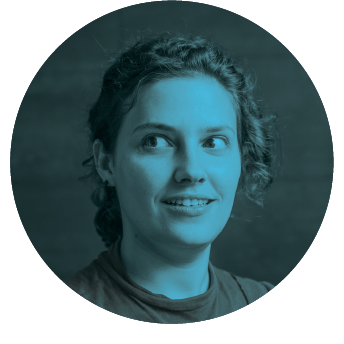 Ana Rita Fonseca studied Engineering as an undergraduate and then moved to neuroscience where she is developing a PhD project in rodent decision ­making at the Systems Neuroscience lab, Champalimaud Neuroscience Programme.